We instill hope and transform the lives of individuals and families who struggle with brain, medical, learning, and mental health disorders by delivering science-based and personalized care. We are experts that offer a range of evaluation and treatment solutions through our Neuropsychology Concierge™, interdisciplinary team, and expert consultation services. Dr. Cristi and therapy providers who individually work with you and your family have the highest level of training in their field. We actively listen and work collaboratively with you to provide the best care possible. We provide evaluations and treatment that have been proven to work through science. We make sure you get the care you deserve quickly so you don’t have to wait months for an appointment. We respond respectfully and advocate for people of all cultures and backgrounds. We have a boutique-style and concierge practice that helps you enjoy a relaxing and positive experience. It is our expertise in the neurodevelopmental systems model and neurobehavioral evaluation that makes us unique. We understand how the brain and behavior changes in response to neurological injury/disease, medical illness, or treatments and how these may impact various stages of development. This knowledge is critical for identifying risks to one’s functional skills and enables us to create a strategic plan. We treat the whole person by addressing not only cognitive and behavioral symptoms but also the social, emotional, and academic/occupational needs of you and your family. We collaborate as a team and with others important to you to support positive outcomes. 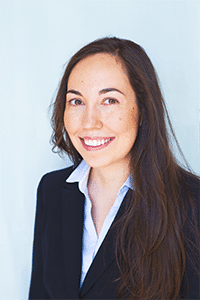 Dr. Cristi Salinas is a respected specialist in neuropsychology and a national expert who has evaluated and treated thousands of children and adults who have brain, medical, developmental, and learning disorders. Dr. Cristi is one of the few bilingual Spanish/English neuropsychologists in Florida. She trained and worked in leading teaching hospitals including the nation's #1 pediatric hospital, Boston Children's Hospital/Harvard Medical School, and Emory University Medical School. Dr. Cristi co-developed the epilepsy neuropsychology program at Florida Hospital Orlando. She received two years of postdoctoral training in testing and intervention with children and adults who have medical/neurological and neurodevelopmental conditions. Dr. Cristi is Adjunct Assistant Professor at Florida Institute of Technology and University of Central Florida Medical School. She is an active brain researcher and author of 25 publications. Dr. Cristi is a national/international speaker with over 35 invited presentations around the U.S., Latin America and Spain. Professionally, she is a national leader that serves on the Executive Board of Directors of the Hispanic Neuropsychological Society and Chair of the Peer Consultation Network for the American Academy of Clinical Neuropsychology Relevance 2050 Initiative. She is the Founder of Niños Health, a 501c3 nonprofit organization dedicated to providing innovative, culturally responsive care for children and families who are struggling with conditions that affect development. She is the Co-Chair of Counselors for Change, a 501c3 nonprofit organization which seeks to increase mental health awareness, education, outreach and advocacy to empower individuals and families. Dr Cristi understands that each person has his/her unique challenges, and that it is stressful when you and/or your family member experiences struggle. She is a caring doctor who will actively listen, develop a strategic plan, and support you to address your needs. Her goal is to provide you with excellent care, hope, and an awesome patient experience. Dr. Cristi is a lifelong learner and a foodie with a bit of wanderlust that has inspired travel to over 30 countries. She is a daughter, wife, and elite athlete that played NCAA Division I basketball who is trying to keep up with her 4-year-old son's newest karate kicks. 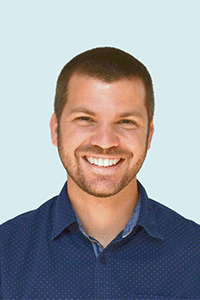 National Academy of Neuropsychology, Inc.
Adam Stokey is a dual certified Speech/Language Therapist (SLP) and Behavior Therapist (BCBA) with over 10 years of experience serving individuals with special needs. He has a diverse background in his fields including experience providing treatment in homes, schools, daycares, brain injury rehabilitation hospital, and multidisciplinary private pediatric clinics. He provides care to individuals with a variety of diagnoses, including Autism Spectrum Disorder, ADHD, Down Syndrome, Articulation/Phonological Disorders, Language/Learning Disabilities, Selective Mutism, Fluency Disorders (e.g. : Stuttering, Cluttering), Social Communication Disorder, and Late Talkers. Adam has also taught Speech/Language Therapy coursework to aspiring clinicians at the University of Central Florida. He is committed to getting to know each child and family he works with; collaboratively developing fun and individually-tailored treatments. Adam maintains active membership in the American Speech-Language-Hearing Association (ASHA) and Speech Pathology and Applied Behavior Analysis Special Interest Group (SPABA). Nickolas is a graduate of the University of St. Augustine with a Master of Occupational Therapy degree. He holds a Bachelor of Science with a focus in Psychology and Family studies from Central Michigan University. Nickolas has worked in Pediatrics for the majority of his career, in a variety of settings including homecare, multidisciplinary private clinics and school settings. He has worked with a wide range of diagnoses, including Rhett’s Syndrome, Down Syndrome, Autism, ADHD, and Traumatic Brain Injury. 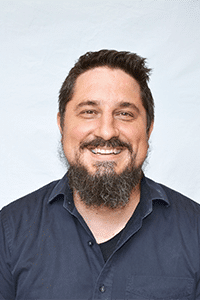 He is a clinical fieldwork instructor for occupational therapy students at the University of St. Augustine, Keiser University and Adventist University of Health Sciences. Nickolas has the expertise to complete all age specific evaluations and treatment plans. 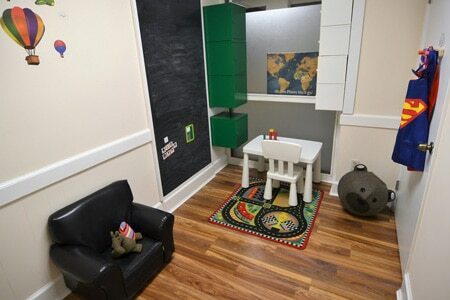 He provides a personalized treatment plan for each child’s unique needs. He is a member of the National Board for Certification in Occupational Therapy and American Occupational Therapy Association. 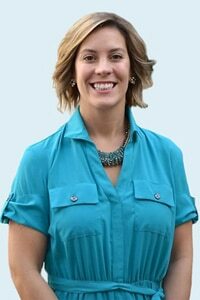 Staci is a Certified Occupational Therapy Assistant (COTA) with an Associate degree from Keiser University. Staci has the experience, creativity and skill to follow through on treatment plans to provide the best hands-on treatment for each unique child. Her desire to work with kids is motivated by her extensive background in the medical field combined with her passion to help each child reach their maximum potential. She believes every child has a unique purpose and explores treatment options to best enhance these qualities in each individual. 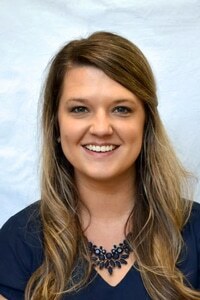 Hannah enjoys helping our patients achieve the best outcomes by completing initial testing with Dr. Cristi. She communicates with local schools, teachers, doctors, and organizations to make sure that people in our patient’s lives are part of the diagnosis and treatment planning process. Hannah is fluent in Japanese as she lived in Asia for 14 years. She is passionate about helping Dr. Cristi and our team advocate for multicultural patients. 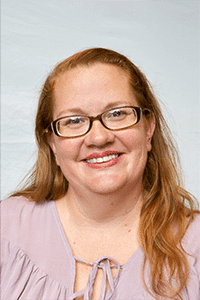 Hannah earned a Bachelor of Science degree in Psychology from the University of Maryland and she expects to obtain a Master of Science in Clinical Mental Health Counseling from Keiser University in May 2019. She has 6 years of experience working with individuals from diverse backgrounds as a teacher, registered behavioral therapist, and graduate student across developmental, private school, and community mental health settings. Hannah’s experience in school settings gives her a unique perspective on how academic and social struggles may negatively impact a child’s self-esteem, leading to anxiety or depression. Her experience overseas as a military child provides a unique understanding to military families and the challenges they face. She is a member of the Florida Mental Health Counseling Association, the American Counseling Association, and the International Association of Youth Mental Health. Lindsay is a great listener and she understands the importance of you receiving the best care possible. She is an experienced office administrator who is committed to providing you with an exceptional patient experience. She enjoys helping our clients by answering questions about services, billing, and scheduling to make sure your needs are met quickly. Lindsay earned a Master of Business Administration and Bachelor of Business Administration from Gannon University. She studied in Costa Rica and Spain, and loves to travel. Her appreciation for diversity helps her respectfully work as a team player. She will communicate effectively with you and your doctors, lawyers, or related organizations involved in your care so that you achieve the best results. 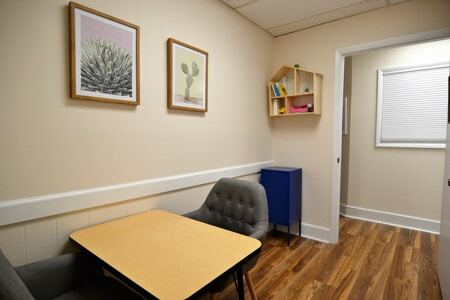 We have part-time and full-time furnished office space available for mental health (counselor, psychologist, psychiatrist) and educational (academic coach, tutor) professionals who value collaborative relationships with colleagues across disciplines. 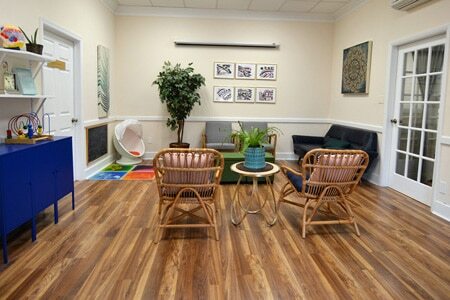 Our Center's mission is to provide evidence-based assessment and treatment to help people thrive. Our downtown Melbourne main office location is great for you and patients as we are within walking distance to tons of restaurants and shops. We have a boutique space that boasts high-end furnishings with several offices including a group space for up to 12 people, one-way mirror room, and 4 other therapy/testing rooms. Are you a provider who wants to send us a referral?